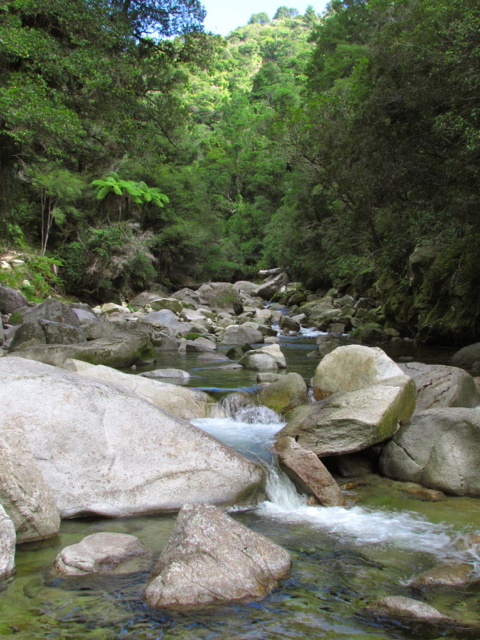 In a recent trip to Golden Bay (named for its goldfields, discovered near Collingwood in 1857, though it could equally be named for its golden sand beaches), I had the privilege of visiting a wild river. Short but powerful, the Wainui River tumbles down a boulder-strewn channel to the salt marshes at the southern end of the C-shaped curve of Golden Bay. 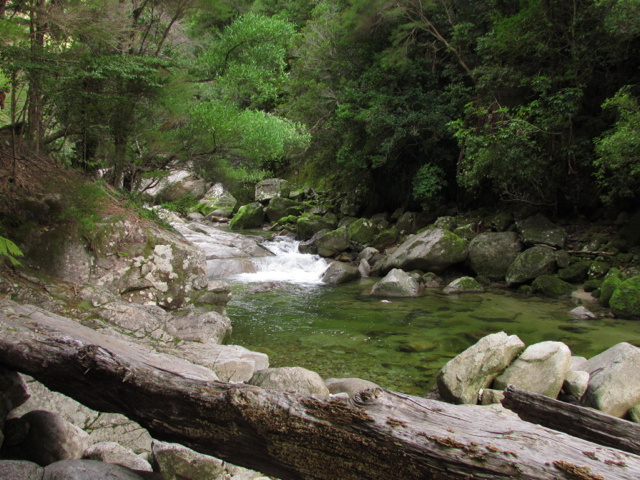 Most people visit to see the falls, the biggest in the Golden Bay region. The lucky ones may even spot a Powelliphanta, the very rare giant (and carnivorous – though not of humans, thankfully) snail. And the beauty of the falls is indisputable. But it was the river itself, with its mesmerising mix of power and beauty, that I found alluring. Yes, it is very lovely, and the ravages of severe flooding in 2011 are now much less evident. I expect Carter enjoyed the adventure too?